But the former United midfielder’s time at the helm will be a short one as an external temporary boss is sought by the club. 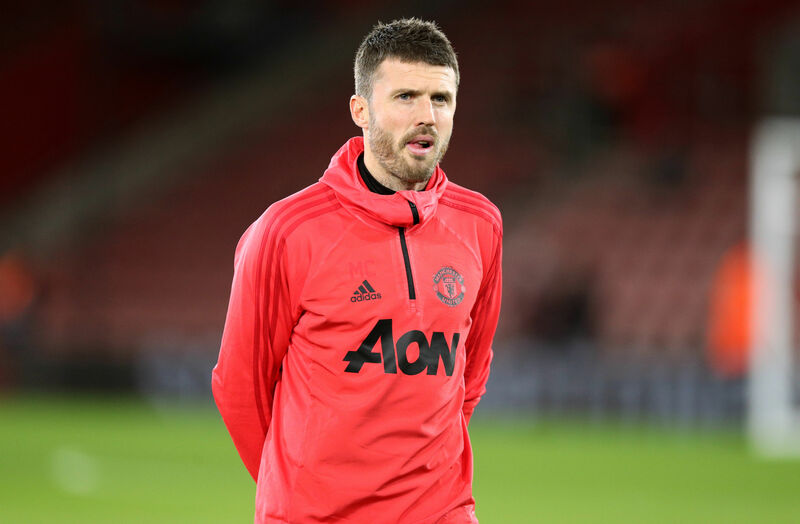 Carrick retired at the end of last season having spent 12 years at the club as a player, before taking on the role of first-team coach upon hanging up his boots. He’ll take training today following Mourinho’s departure, with reports suggesting an interim manager will be brought in within 48 hours. A permanent appointment is then set to be made at the end of the season. United announced Mourinho’s departure this morning. The 55-year-old leaves his position with immediate effect. United are sixth in the league table, 19 points adrift of bitter rivals Liverpool, whose 3-1 win over Mourinho’s men on Sunday turned out to be his last match in charge. The Portuguese joined United in May 2016 and guided them to success in the Community Shield, League Cup and Europa League in his first season. But he was unable to deliver success in the Premier League, with United finishing sixth in 2017, and second – but 19 points adrift of runaway champions Manchester City – in 2018.